It is bad enough that the field of psychology has for so long been a non-social science, viewing the motive forces of personality as deriving from internal psychic experiences rather than from man’s interaction with his social setting. Similarly in the field of economics: since its “utilitarian” revolution about a century ago, this discipline has also abandoned its analysis of the objective world and its political, economic productive relations in favor of more introverted, utilitarian and welfare-oriented norms. Moral speculations concerning mathematical psychics have come to displace the once-social science of political economy. To a large extent the discipline’s revolt against British classical political economy was a reaction against Marxism, which represented the logical culmination of classical Ricardian economics and its paramount emphasis on the conditions of production. Following the counterrevolution, the motive force of economic behavior came to be viewed as stemming from man’s wants rather than from his productive capacities, organization of production, and the social relations that followed therefrom. By the postwar period the anti-classical revolution (curiously termed neo-classical by its participants) had carried the day. Its major textbook of indoctrination was Paul Samuelson’s Economics. Today, virtually all established economists are products of this anti-classical revolution, which I myself am tempted to call a revolution against economic analysis per se. The established practitioners of economics are uniformly negligent of the social preconditions and consequences of man’s economic activity. In this lies their shortcoming, as well as that of the newly-instituted Economics Prize granted by the Swedish Academy: at least for the next decade it must perforce remain a prize for non-economics, or at best superfluous economics. Should it therefore be given at all? This is only the second year in which the Economics prize has been awarded, and the first time it has been granted to a single individual—Paul Samuelson— described in the words of a jubilant New York Times editorial as “the world’s greatest pure economic theorist.” And yet the body of doctrine that Samuelson espouses is one of the major reasons why economics students enrolled in the nation’s colleges have been declining in number. For they are, I am glad to say, appalled at the irrelevant nature of the discipline as it is now taught, impatient with its inability to describe the problems which plague the world in which they live, and increasingly resentful of its explaining away the most apparent problems which first attracted them to the subject. What is the nature of this science? Can it be “scientific” to promulgate theories that do not describe economic reality as it unfolds in its historical context, and which lead to economic imbalance when applied? Is economics really an applied science at all? Of course it is implemented in practice, but with a noteworthy lack of success in recent years on the part of all the major economic schools, from the post-Keynesians to the monetarists. In Mr. Samuelson’s case, for example, the trade policy that follows from his theoretical doctrines is laissez faire. That this doctrine has been adopted by most of the western world is obvious. That it has benefited the developed nations is also apparent. However, its usefulness to less developed countries is doubtful, for underlying it is a permanent justification of the status quo: let things alone and everything will (tend to) come to “equilibrium.” Unfortunately, this concept of equilibrium is probably the most perverse idea plaguing economics today, and it is just this concept that Mr. Samuelson has done so much to popularize. For it is all too often overlooked that when someone falls fiat on his face he is “in equilibrium” just as much as when he is standing upright. Poverty as well as wealth represents an equilibrium position. Everything that exists represents, however fleetingly, some equilibrium—that is, some balance or product—of forces. Nowhere is the sterility of this equilibrium preconception more apparent than in Mr. Samuelson’s famous factor-price equalization theorem, which states that the natural tendency of the international economy is for his wages and profits among nations to converge over time. As an empirical historical generality this obviously is invalid. International wage levels and living standards are diverging, not converging, so that the rich creditor nations are becoming richer while poor debtor countries are becoming poorer – at an accelerating pace, to boot. Capital transfers (international investment and “aid”) have, if anything, aggravated the problem, largely because they have tended to buttress the structural defects that impede progress in the poorer countries: obsolete systems of land tenure, inadequate educational and labor-training institutions, pre-capitalist aristocratic social structures, and so forth. Unfortunately, it is just such political-economic factors that have been overlooked by Mr. Samuelson’s theorizing (as they have been overlooked by the mainstream of academic economists since political economy gave way to “economics” a century ago). In this respect Mr. Samuelson’s theories can be described as beautiful watch parts which, when assembled, make a watch that doesn’t tell time accurately. The individual parts are perfect, but their interaction is somehow not. The parts of this watch are the constituents of neoclassical theory that add up to an inapplicable whole. They are a kit of conceptual tools ideally designed to correct a world that doesn’t exist. The problem is one of scope. Mr. Samuelson’s three volumes of economic papers represent a myriad of applications of internally consistent (or what economists call “elegant”) theories, but to what avail? The theories are static, the world dynamic. Ultimately, the problem resolves to a basic difference between economics and the natural sciences. In the latter, the preconception of an ultimate symmetry in nature has led to many revolutionary breakthroughs, from the Copernican revolution in astronomy to the theory of the atom and its sub-particles, and including the laws of thermodynamics, the periodic table of the elements, and unified field theory. Economic activity is not characterized by a similar underlying symmetry. It is more unbalanced. Independent variables or exogenous shocks do not set in motion just-offsetting counter-movements, as they would have to in order to bring about a meaningful new equilibrium. If they did, there would be no economic growth at all in the world economy, no difference between U.S. per capita productive powers and living standards and those of Paraguay. Mr. Samuelson, however, is representative of the academic mainstream today in imagining that economic forces tend to equalize productive powers and personal incomes throughout the world except when impeded by the disequilibrating “impurities” of government policy. Empirical observation has long indicated that the historical evolution of “free” market forces has increasingly favored the richer nations (those fortunate enough to have benefited from an economic head start) and correspondingly retarded the development of the laggard countries. It is precisely the existence of political and institutional “impurities” such as foreign aid programs, deliberate government employment policies, and related political actions that have tended to counteract the “natural” course of economic history, by trying to maintain some international equitability of economic development and to help compensate for the economic dispersion caused by the disequilibrating “natural” economy. This decade will see a revolution that will overthrow these untenable theories. Such revolutions in economic thought are not infrequent. Indeed, virtually all of the leading economic postulates and “tools of the trade” have been developed in the context of political-economic debates accompanying turning points in economic history. Thus, for every theory put forth there has been a counter-theory. To a major extent these debates have concerned international trade and payments. David Hume with the quantity theory of money, for instance, along with Adam Smith and his “invisible hand” of self-interest, opposed the mercantilist monetary and international financial theories that had been used to defend England’s commercial restrictions in the eighteenth century. During England’s Corn Law debates some years later, Malthus opposed Ricardo on value and rent theory and its implications for the theory of comparative advantage in international trade. Later, the American protectionists of the 19th century opposed the Ricardians, urging that engineering coefficients and productivity theory become the nexus of economic thought rather than the theory of exchange, value and distribution. Still later, the Austrian School and Alfred Marshall emerged to oppose classical political economy (particularly. Marx) from yet another vantage point, making consumption and utility the nexus of their theorizing. In the 1920s, Keynes opposed Bertil Ohlin and Jacques Rueff (among others) as to the existence of structural limits to the ability of the traditional price and income adjustment mechanisms to maintain “equilibrium,” or even economic and social stability. The setting of this debate was the German reparations problem. Today, a parallel debate is raging between the Structuralist School – which flourishes mainly in Latin America and opposes austerity programs as a viable plan for economic improvement of their countries – and the monetarist and post-Keynesian schools defending the IMF’s austerity programs of balance-of-payments adjustment. Finally, in yet another debate, Milton Friedman and his monetarist school are opposing what is left of the Keynesians (including Paul Samuelson) over whether monetary aggregates or interest rates and fiscal policy are the decisive factors in economic activity. In none of these debates do (or did) members of one school accept the theories or even the underlying assumptions and postulates of the other. In this respect the history of economic thought has not resembled that of physics, medicine, or other natural sciences, in which a discovery is fairly rapidly and universally acknowledged to be a contribution of new objective knowledge, and in which political repercussions and its associated national self-interest are almost entirely absent. In economics alone the irony is posed that two contradictory theories may both qualify for prizeworthy preeminence, and that the prize may please one group of nations and displease another on theoretical grounds. Thus, if the Nobel prize could be awarded posthumously, both Ricardo and Malthus, Marx and Marshall would no doubt qualify—just as both Paul Samuelson and Milton Friedman were leading contenders for this year’s prize. Who, on the other hand, can imagine the recipient of the physics or chemistry prize holding a view not almost universally shared by his colleagues? (Within the profession, of course, there may exist different schools of thought. 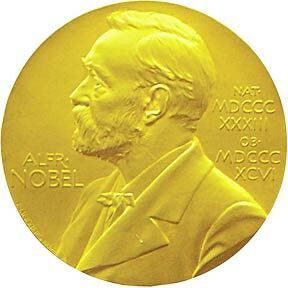 But they do not usually dispute the recognized positive contribution of their profession’s Nobel prizewinner.) Who could review the history of these prizes and pick out a great number of recipients whose contributions proved to be false trails or stumbling blocks to theoretical progress rather than (in their day) breakthroughs? And precisely because economic “science” seems to be more akin to “political science” than to natural science, the Economics Prize seems closer to the Peace Prize than to the prize in chemistry. Deliberately or not, it represents the Royal Swedish Academy’s endorsement or recognition of the political influence of some economist in helping to defend some (presumably) laudable government policy. Could the prize therefore be given just as readily to a U.S. president, central banker or some other non-academician as to a “pure” theorist (if such exists)? Could it just as well be granted to David Rockefeller for taking the lead in lowering the prime rate, or President Nixon for his acknowledged role in guiding the world’s largest economy, or to Arthur Burns as chairman of the Federal Reserve Board? If the issue is ultimately one of government policy, the answer would seem to be affirmative. Or is popularity perhaps to become the major criterion for winning the prize? This year’s award must have been granted at least partially in recognition of Mr. Samuelson’s Economics textbook, which has sold over two million copies since 1947 and thereby influenced the minds of a whole generation of—let us say it, for it is certainly not all Mr. Samuelson’s fault—old fogeys. The book’s orientation itself has impelled students away from further study of the subject rather than attracting them to it. And yet if popularity and success in the marketplace of economic fads (among those who have chosen to remain in the discipline rather than seeking richer intellectual pastures elsewhere) is to become a consideration, then the prize committee has done an injustice to Jacqueline Susann in not awarding her this year’s literary prize. To summarize, reality and relevance rather than “purity” and elegance are the burning issues in economics today, political implications rather than antiquarian geometrics. The fault therefore lies not with Mr. Samuelson but with his discipline. Until it is agreed what economics is, or should be, it is as fruitless to award a prize for “good economics” as to award an engineer who designed a marvelous machine that either could not be built or whose purpose was unexplained. The prize must thus fall to those still lost in the ivory corridors of the past, reinforcing general equilibrium economics just as it is being pressed out of favor by those striving to restore the discipline to its long-lost pedestal of political economy. Michael Hudson is Visiting Lecturer in International Finance at the New School for Social Research in New York.